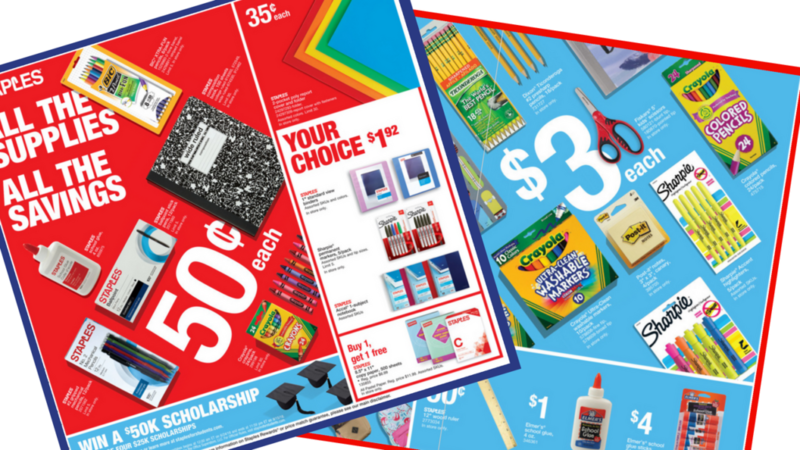 There are even more school supply deals in this weeks Staples Ad! Find items starting at 35¢ in your local store. Grab the items on sale this week that you need and then tune back in for each weeks deals (they do change).